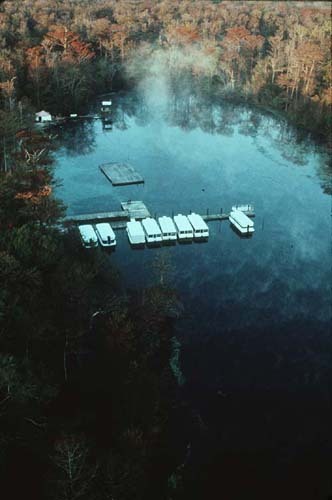 Aerial view of Wakulla Spring taken during October of 1987. The white rectangular craft are glass bottom boats used by the park to give tours of the spring. Final assembly and checkout of the variable-depth underwater habitat design for the Wakulla 1 project. Made possible by a generous grant from Rolex USA, the habitat could be pre-stationed at -25 meters before the start of an exploration mission and then used for all decompression from there to the surface. 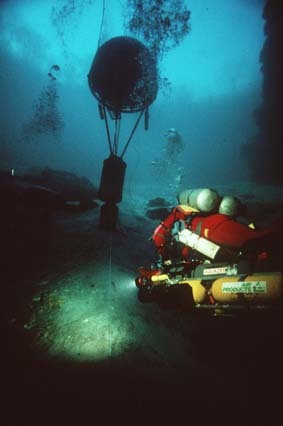 An internal chain hoist permitted the returning exploration crew to gradually allow the hemispherical living quarters to rise to the surface in a controlled fashion. 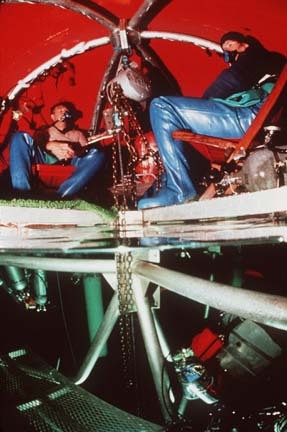 Comfortable decompression is being enjoyed by Paul DeLoach (left) and Sheck Exley following the second push on A-Tunnel in November of 1987. 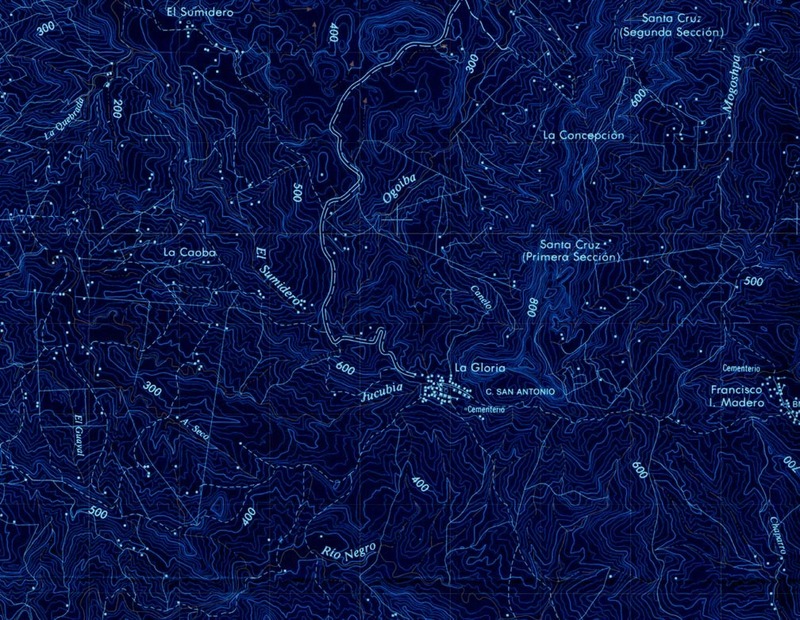 The habitat allowed for the attachment of K-bottles of pure oxygen for decompression. Overboard dumps on the exhaust regulators prevented the oxygen concentration from becoming too high inside the hemisphere. A 125 cubic-foot-per-minute Ingersoll-Rand air compressor was used to purge carbon dioxide from the dome. Returning home from a long trip up B-Tunnel, Rob Parker heads for the habitat. 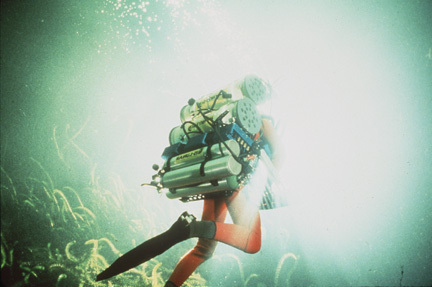 Maximum mission durations in 1987 were on the order of 80 minutes and required divers to carry 8 to 10 scuba tanks each. 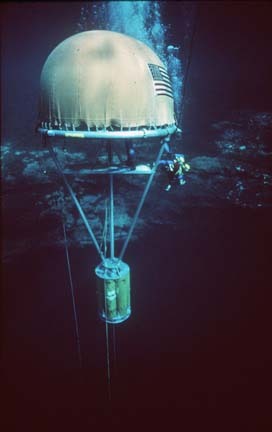 Sleds attached to the bottoms of the diver propulsion vehicles (DPVs) allowed up to 4 composite high pressure tanks to be efficiently carried with the diver. 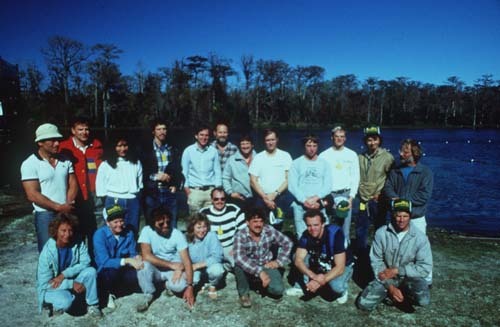 Team photo, early December 1987: Rear, left to right: Angel Soto, Paul DeLoach, Tara Tanaka, Bill Stone, Dale Sweet, Sergio Zambrano, Sheck Exley, Noel Sloan, Rob Parker, Clark Pitcairn, Chris Brown, Pete Scoones. Front row, left to right: Georgette Douwma, Mary Ellen Eckhoff, Leo Dickinson, Mandy Dickinson, Wes Skiles, Paul Heinerth, Gavin Newman, Brad Pecel.